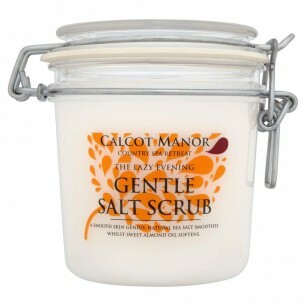 The esteemed Calcot Manor in Gloucestershire, launches a beauty and bodycare range exclusively at Tesco. Dating back to the 14th century, Calcot Manor is set in over 220 acres of Cotswolds meadowland. With 35 individually designed rooms to choose from, the hotel is perfect for both family stays and romantic breaks. The hotel also houses the famed Calcot spa, which offers fantastic treatments for guests. It is situated in a quiet corner of Calcot Manor’s grounds and is a haven for those looking to improve their fitness or treat themselves with some relaxation and beauty treatments. Calcot spa has won numerous awards since it opened in 2003 and this success had led them to devise a range of beauty and bodycare products to recreate that special spa feeling in your own bathroom at home. The Calcot Manor bodycare range is inspired by the philosophies of Calcot’s spa therapists and is comprised of three collections: ‘The Perfect Day’ which is infused with papaya, lemon and Vitamin E; ‘The Lazy Evening’ with chamomile, sweet fig and vitamin E and ‘The Signature Collection De-Stress’ which adopts a blend of flower-based extracts, with deeply relaxing orange blossom and orchid scents. Each of the collection features well designed products such as body scrubs and moisture soufflés, which are formulated in order to deliver high performance benefits with the skin, alongside luxurious ingredients to help relax body and mind. A total of 14 products make up the entire full range. Products include atoiletry bag and a ‘mini-collection’ gift pack, which would make fantastic stocking fillers for women. Prices start at £3.99 – £7.99. Calcot Manor’s spa range is available now from selected Tesco stores. Click here to see our Christmas Gift Guide 2012 for other last minute gift ideas.